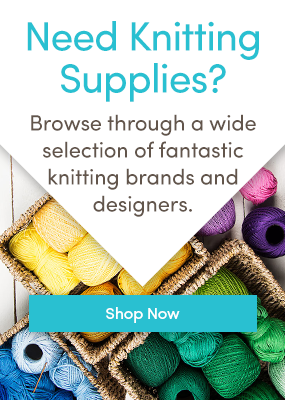 Black Friday is a day of deals, and we love a good deal here at LoveKnitting. We’ve pulled together ten exclusive yarn discounts that will tickle your hooks, needles, and your pocketbook, with lovely patterns for each to inspire your next project. The best part? Five of these are completely FREE! Paloma Tweed by Debbie Bliss is a gorgeous super-bulky yarn that will keep you cozy all winter long. This cowl is knitted up in the Paloma solid, but we think it would look incredible in the tweed version. If you’re looking for a fabulous gift for Christmas, look no further. A dream to work with, Schoeller und Stahl Veneta Color is on discount for a limited time! With two options, you’re bound to fall in love with these gorgeous designs in the supremely soft Egyptian Cotton DK from Sublime. The pattern is only free for a limited time. This throw will go with any home decor, crocheted in the lovely Stylecraft Malabar. Make this super chic Bolero for less with our discounted Inox Lace by Katia. Click photo to buy the book. You’ll adore these 11 stylish patterns in Debbie Bliss Boheme. This collection of over 20 patterns includes so many lovely options using Lang Yarns Silk Merino. Click photo to buy the leaflet. Pick up your copy of Bergere de France Magazine 180 to make this gorgeous sweater in Chatelle for your little shepherd. Alison Alison is an American living in London who just recently caught the knitting bug, and can't wait to see where it takes her! Last updated: November 23rd, 2016. When I tried to download Sirdar pattern number 6085 which is indicated as being free I found I was being charged £2.95. Is it free or not? Come on Love Knitting ,this pattern is supposed to be free, how come when you try to download it it wants to charge £2.95. For pattern number 6085 in Sirdar sublime cotton. Did someone forget to publish the code required? It is a busy time of year – have a nice day and please forgive readers for being so impatient. We cannot wait to get another item knitted. One of your many loyal customers, senior citizen. Try logging in & downloading this pattern now. Just downloaded as a free pattern for me. Can’t download free pattern ? I can’t even find the baby sweater on here now. I wasn’t where I could download it earlier. Please help! Thank you!! Hello there, thanks for getting in touch. We haven’t listed a baby sweater in this blog post, we do have the children’s cardigans. Perhaps you saw a baby sweater pattern in a different blog post? Or one of our newsletters? I have just tried to download Ladies’ Sweater in James C. Brett Legacy DK – JB231 but your page says that it is sold out. Hello, I too tried to download the James C. Brett Legacy Sweater DK-JB321 and the page still reads sold out. Hope you had a terrific turkey day. I can’t download the blue cardigan – Fatto a Mano 222 Elle Tricot which is advertised as free. I don’t like the patterns in the book so do not want to buy it. How do I do it please – I don’t know if it is a technical error or me ! Can you email it to me please ? Thank you for your comment, unfortunately that pattern is not one of the free patterns available in the blogpost. We explain in the post description above that 5 of the wonderful patterns we have chosen are available for free. I’m terribly sorry for any disappointment caused.